Nearly 90 million vehicles worldwide are riding on SKF wheel bearings and hub units — more than all other brands combined. 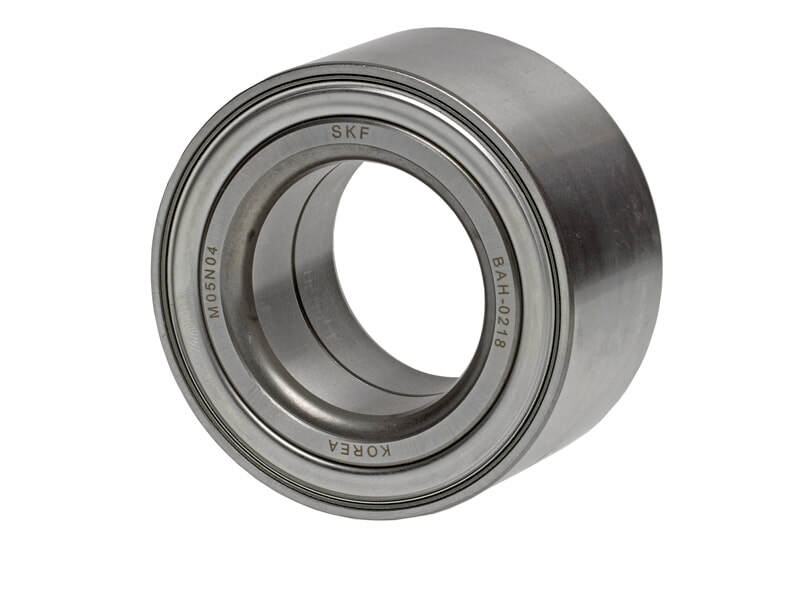 All SKF hub bearings are premium quality parts manufactured using high quality steel and surface finishes, premium seals, OE grade sensors, precision manufacturing techniques and precise assembly tolerances. ​Performance-engineered for race-car cornering and stability. 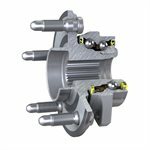 Race car and high-performance vehicle owners demand exceptional wheel end performance, cornering and stability. The SKF X-tracker delivers all of it and more. The X-tracker is currently used in a number of high-volume, high-performance luxury vehicles. The X-tracker features a double row angular contact ball bearing arrangement in which the outboard row has a larger diameter and contains more balls than the inboard row. This unique, asymmetrical design increases the bearing load carrying capacity and operational life, while significantly improving camber stiffness compared to traditional symmetrical hub units. Improving camber stiffness allows the brake rotor to tilt less during vehicle cornering, which in turn reduces brake caliper piston knock back, allowing the driver to brake later, and reducing lap times on the track. 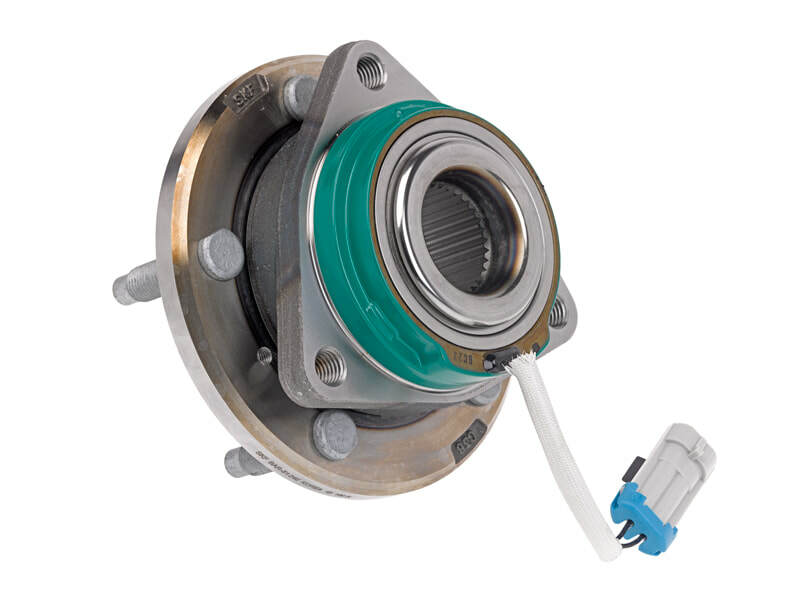 The small inner ring is retained with orbital forming, which means the bearing will stay in preload under heavier loading, providing a longer service life.